Businesses: Lastminute.com, Made.com, Founders Forum, and Founders Factory. 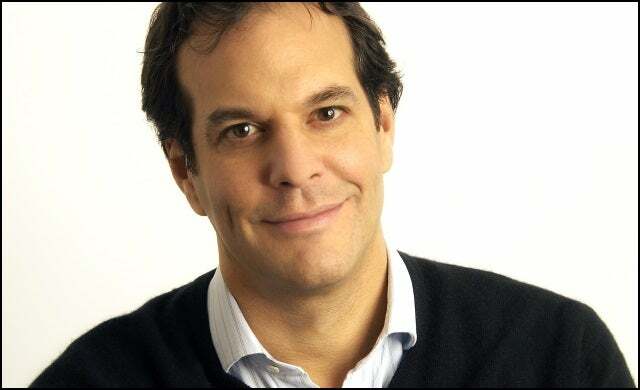 Why you should know about him: A pioneer of the late 90s dotcom boom, Hoberman founded Lastminute in 1998 with Martha Lane Fox which later sold for £577m. He has also sat on the board of some of the biggest names in tech and media including Shazam, easyCar and most recently The Economist. He was appointed Commander of the Order of the British Empire (CBE) in the 2015 New Year Honours List. Hoberman was one of the prototypical dot.com entrepreneurs and has remained involved and instrumental in the growing technology scene throughout his career. One of the UK’s 100 “most connected” men, Hoberman has actively fostered innovation and entrepreneurship through his work with the Founders Forum and Founders Factory. Hoberman credits his grandfather and father with instilling an entrepreneurial drive. Born in South Africa, his grandfather Leonard Shawzin built an empire of 650 clothes shops in the early 20th century from his uncle’s one single store. In a previous interview with BBC News, Hoberman said he was inspired by how much his grandfather loved running his business and said it was this passion that gave him “the bug”. Hoberman didn’t jump into entrepreneurship straight after university, instead he was drawn into the world of investment banking and joined a strategy consultancy firm. Hoberman has said that he was fired after 20 months for being a “prima donna” but it was this turn of events that set him on the road to internet success. He joined a media and telecom consultancy soon after and this was where he grew to understand the business potential of the internet. It was actually two years before Hoberman brought his plans for Lastminute.com to the surface. Hoberman has co-founded a number of organisations that seek to support start-ups and foster innovation and entrepreneurship. In 2006, he launched Founders Forum: a global private network of digital and technology entrepreneurs, CEOs and investors that hosts invite only events around the world to debate, brainstorm, discuss and solve issues and matters relating to the global tech community. A subsection of this is Founders Factory, a tech start-up accelerator he founded with Henry Lane Fox and Jim Meyerle. The initiative nurtures early-stage tech firms across a number of sectors to help them become viable and sustainable businesses. More recently, Hoberman launched a programme to uncover Europe’s future technology founders even before they’ve started their own companies. The Founders of the Future initiative will support “gifted people” aged 16 to 35 with the potential to become successful technology entrepreneurs. In 2009, Hoberman co-founded London-based investment firm PROfounders Capital with Bebo founder Michael Birch. The fund is dedicated to supporting European technology start-ups including OneFineStay and TweetDeck. He left the board in November 2015 to focus on investing smaller amounts into more start-ups. Hoberman has also backed a number of funding rounds in tech companies such as online ticket marketplace viagogo, online multiplayer game eRepublik, social travel network WAYN.com, and mobile-first banking service for kids Osper. Hoberman’s years of experience and involvement in UK business made him a natural choice for the New Enterprise Council; the advisory group launched by chancellor George Osborne in 2007. The group consists of some of the country’s most illustrious business leaders including hotelier Surinder Arora, Jimmy Choo co-founder Tamara Mellon, and Stefan Glaenzer; former executive chairman of Last.fm. As part of Founders Forum, Hoberman has backed a new initiative which encourages business owners to pledge to give away a minimum 2% of their personal proceeds to social causes following an exit. The scheme – Founders Pledge – intends to bring about “global change” and “leverage success for the greater good”. It has received pledges totalling $70m from 244 companies to date including DueDil and Swiftkey (recently acquired by Microsoft for an estimated $250m).